“We are now checking a flight for him,” Gen. Keo Vanthan told The Associated Press. He was arrested after flying a drone to photograph a rally of the Cambodian National Rescue Party — the only credible opposition party that was later dissolved by the courts at the instigation of Prime Minister Hun Sen’s government. His pardon is the latest in a series of releases of political prisoners after the ruling party’s landslide victory in a July election that critics and observers said was deeply flawed. His Aug. 31 conviction was met with only lukewarm public concern from Australia’s prime minister and foreign minister. 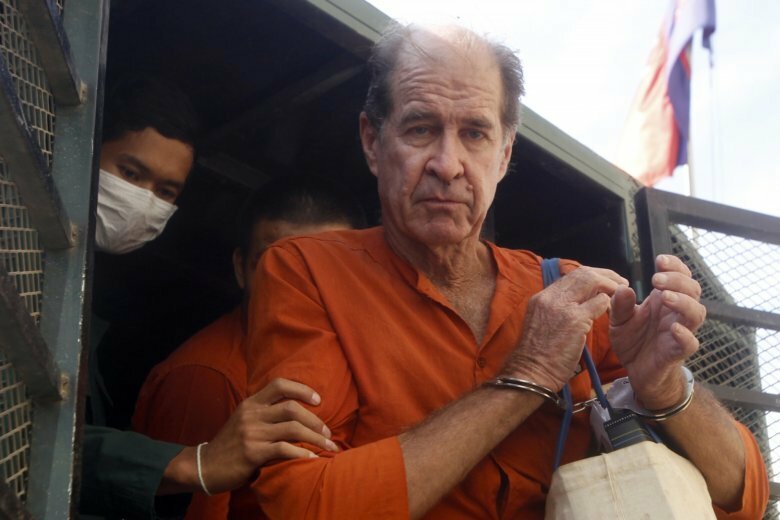 Their public stance was criticized, but also led to speculation that an understanding might have been reached with Cambodian authorities for Ricketson’s early release. Ricketson’s lawyer, Kong Sam Onn, said Friday that his client would go first to Phnom Penh and then travel to Australia. “James will go back to his home country after he is released, but later he will be back to Cambodia because the pardon letter doesn’t bar him from re-entering Cambodia,” he said. However, there is no official statement guaranteeing he will be readmitted.